A chilly N NE wind which has continued from the end of April and through the beginning of the month finally gave in to change in the weather on the 10th to warmer temperatures. A change in the wind direction overnight from N-NE to S-SE changed daytime temperatures from cold wind 10 to a warm 16℃ with 21℃ predicted on the 11th. 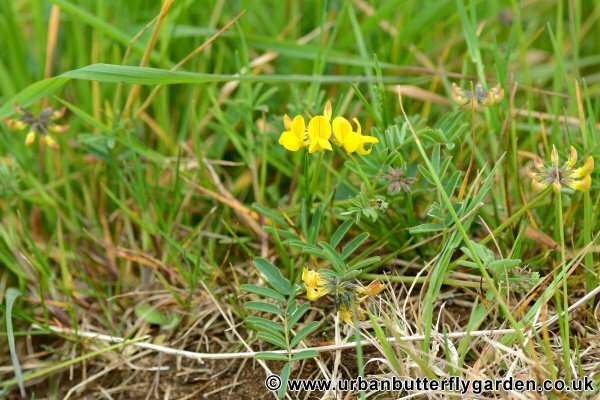 Crown vetch has had some seriously vigorous growth since the rain and may need bringing into check although its not even in flower yet. The greenhouse has had some high temperatures into 90s since the weather warmed on the 10th, so have had rigged up the 12v fan to my solar battery setup. 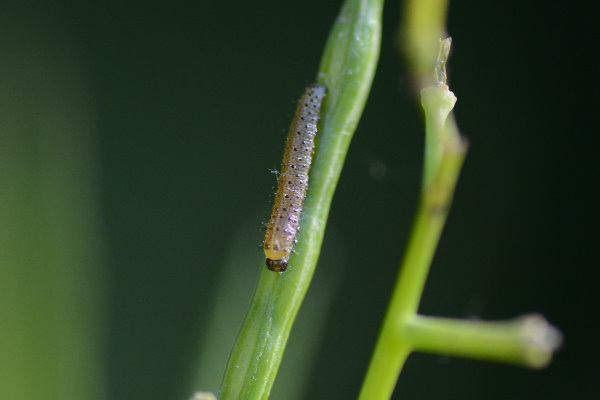 The extra circulation of air can make a difference of around 10℃ it also seems to have made a difference to an annoying green fly problem only on my potted Horse-shoe Vetch and Sainfoin. The door is opened and closed every day the windows very rarely get closed unless the winter weather is really bad. Same list as last month, Devils-bit Scabious is doing particularly well have around 40 plants in 9cm pots, sown in a tray the seed was collected from the garden in 2016. It’s April and finally the evenings start drawing out and the garden is beginning to come to life. It has been quite a mild month over all and with very little rain to speak of here in South Lincs the ground has been particularly dry and tough going to get any plants from the greenhouse, out into the garden soil. 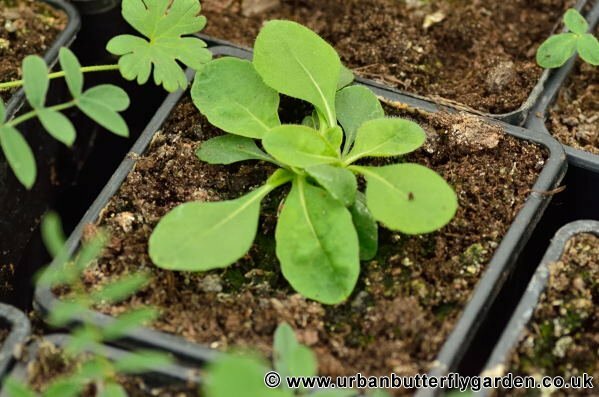 I finally got into planting out the last 4 of the 40 9cm Kidney Vetch which were grown last spring from seed collected in 2015, as well as a 9cm yellow loosestrife and Thrift grown from cuttings. The other additions I bought in are in the ground and have needed regular watering. The willow looked great in the garden, planted 25 years ago it had over the years created so much summer shade with out me realising just how much, until it was cut back hard last year. The whole garden has noticeably benefited from the extra light, so have had another meter taken off to allow for this years growth. Have put cool glass shading on the greenhouse to block out some of the full sun and keep the temperature down with both windows and the door open the temperature has crept up to 85-90℃ a side effect from cutting the willow. 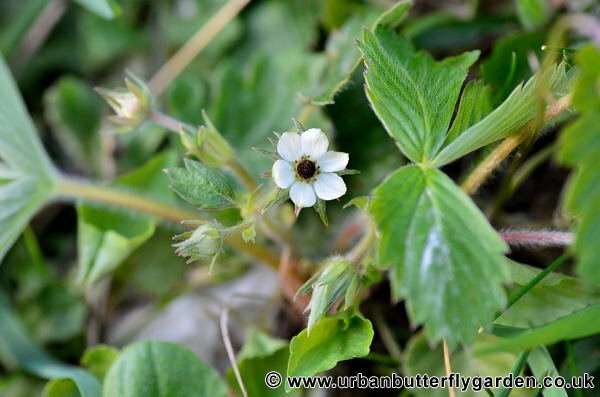 March seemed like a good time to begin a monthly diary about my garden. As well as something for myself to look back on next year it may just give some ideas to anyone who has got or wanted to start a wildflower garden of there own. Facing East to West and around the size of a large allotment my garden is mainly planted with wildflowers with a small number of cottage garden favourites. 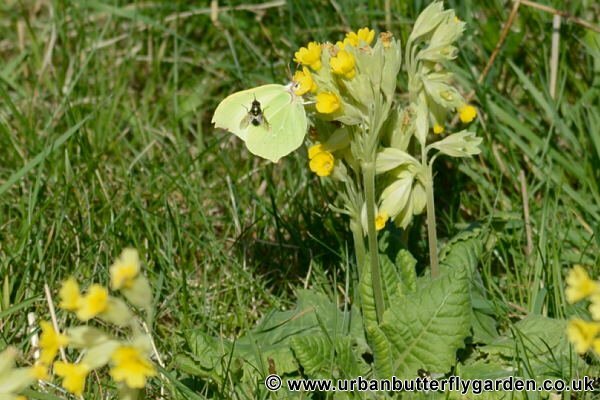 There are now around 60+ species some of which include Horse-shoe Vetch, Pasque Flowers, Greater Knapweed, Sainfoin, Common-spotted Orchid, Cowslips, Common Rock-rose and Birds-foot Trefoil which have been well established for over 5+ years. 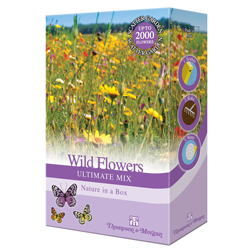 Fill your garden with glorious wildflowers, these Thompson & Morgan easy to grow wild flowers seed mixes will enhance your garden and attract beneficial bees and insects. 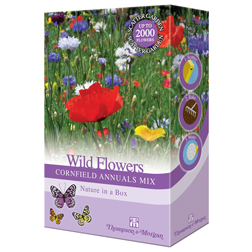 Just directly sow wildflower seeds outdoors where they are to grow from March to May once the soil has warmed. 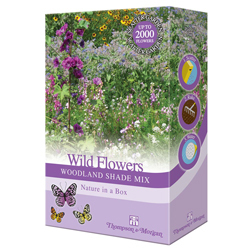 Fill your Wildlife or Cottage Garden beds and borders with this selection of 72 hardy herbaceous perennials from Thompson & Morgan. 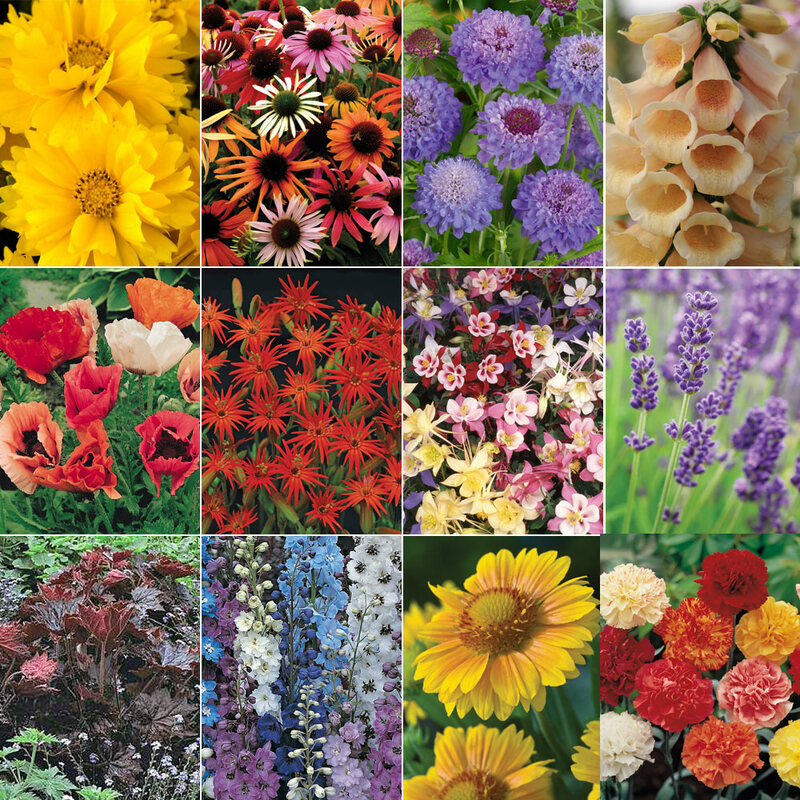 This selection of Perennial plants will add plenty of colour and continue to bloom year after year, attracting butterflies and bees and other beneficial insects. 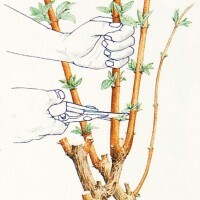 They may also be cut and brought into the house for creating beautiful flower arrangements. Poppy ‘Pizzicato’ Mixed – Large blooms – 20 per plant! Digitalis ‘Dalmation Mixed’ – Well branched, compact, dwarf plants. Echinacea ‘Primadonna’ – Unique petals that radiate outwards instead of downwards. Coreopsis ‘Presto’ – Neat, compact plants bear semi-double flowers. Penstemon ‘Wedding Bells’ – Masses of colourful flower spikes. Scabiosa ‘Blue Jeans’ – Attracts bees and butterflies. Aquilegia ‘Swan’ Mixed – Longer flowering than other aquilegias. Geum ‘Blazing Sunset’ – Prolific, early flowering, fully double flowers. Carnation ‘Ever-blooming’ Mixed – Fragrant essentials for sunny borders. Gaillardia ‘Arizona Sun’ – Produce a constant display of large flowers. Delphinium ‘Pacific Giants’ – Add a dramatic height to borders. Chrysanthemum ‘White Knight’ – Daisy-like white flower-heads. Send your family and friends our most popular blooming gift. 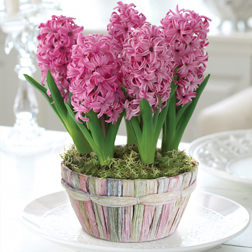 Tucked inside our exclusive, hand-woven basket are five energy-packed ‘Pink Pearl’ Hyacinth bulbs, specially coaxed to flower throughout the Christmas period and into the New Year. Our bestselling hyacinths are guaranteed to give stunning results, skilled growers have spent years calculating the optimum time and temperature to hold the bulbs back for the exact length of time to ensure perfect, sparkling flowers over the Christmas period. In no time their compact stems will be a frenzy of pink, filling a room with their unmistakable fragrance. As a bonus, once the bulbs have finished flowering indoors they can be planted outdoors in the garden and the basket re-used. Order before 10am on 19th December for guaranteed delivery in time for Christmas. 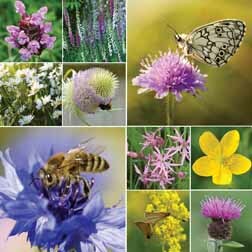 Starting a Wildflower Garden or Meadow to attract beneficial insects like butterflies and bees it couldn’t be easier, with this diverse collection of wildflower plug plants. 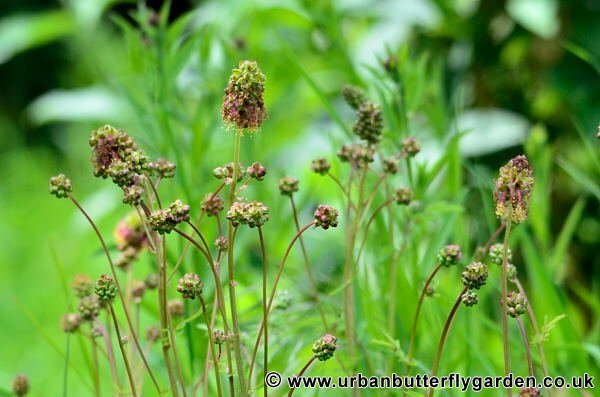 Also adding a sprinkling of some wildflower seed between these plug plants – they will all knit nicely together. 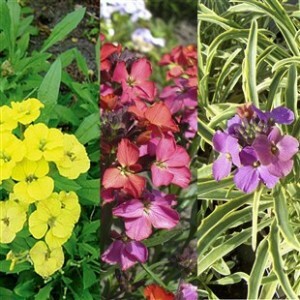 The perennial varieties will come back year after year whilst the annuals will happily self seed and reappear in a new position each year. Height: 150cm (59″). Spread: 50cm (20″). 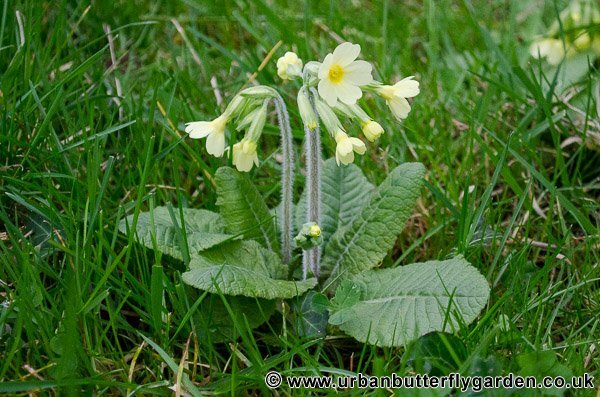 Flowering Period: May, June, July, August, September Position: Full sun, sun or semi shade. 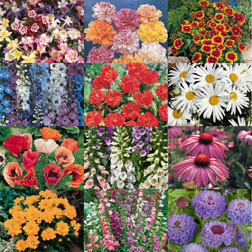 Fill your Garden beds and borders with this bargain collection of 72 herbaceous hardy perennials from Thompson & Morgan. Perennial plants bloom year after year, and many can also be cut and brought into the house for beautiful flower arrangements. A. Coreopsis ‘Presto’ – Neat, compact plants bear golden-yellow, semi-double flowers all summer long. B. Echinacea ‘Magic Box’ – A stunning mix of daisy flowers and spectacular garden performance. C. Scabiosa ‘Blue Jeans’ – Blue pincushion flowers attract bees and butterflies throughout summer. D. Foxglove ‘Dalmatian Peach’ – Peachy trumpet flowers crowd sturdy, upright stems. E. Poppy ‘Pizzicato’ Mixed – A neat semi dwarfing variety, producing up to 20 large flowers per plant. F. Silene ‘Jack Flash’ – Scarlet blooms carried on elegant, slender stems over a long period. G. Aquilegia ‘Swan’ Mixed – Long flowering, large blooms on upright, multi-branched stems. H. Lavender ‘Munstead’ – A neat, compact variety of fragrant English lavender. I. Heuchera ‘Palace Purple’ – Glossy, semi-evergreen purple leaves provide year round colour. J. Delphinium ‘Pacific Giants’ – Excellent adding structure and presence to the back of borders. K. Gaillardia ‘Arizona’ – A spectacular dwarf Blanket Flower with a long-flowering period. L. Carnation ‘Ever-blooming Mixed’ (Hardy) – Richly fragrant blooms that are ideal for cutting. 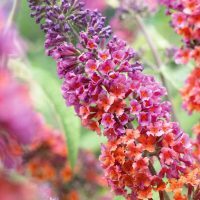 A true dwarf Buddleja, the ‘Buzz’ is easy to grow and maintain perfect for attracting butterflies and bees to any garden. 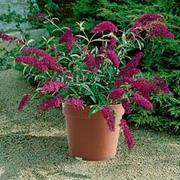 Buddleja ‘Buzz’™ has been cultivated specifically for containers, and small gardens in mind by Thompson & Morgan. 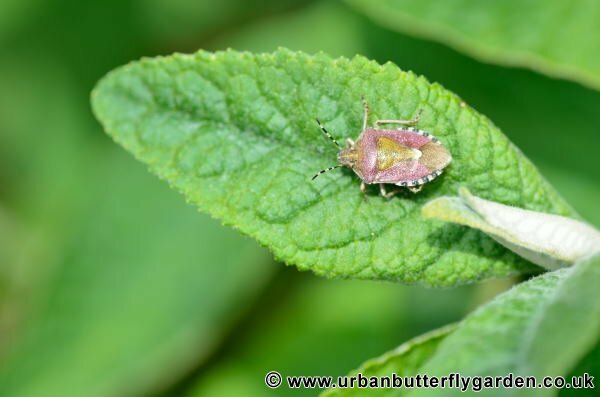 © Urban Butterfly Garden 2010-2012. 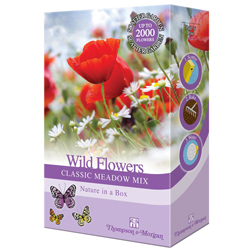 Butterfly Garden Wildlife Perennial Collections only £13.99! 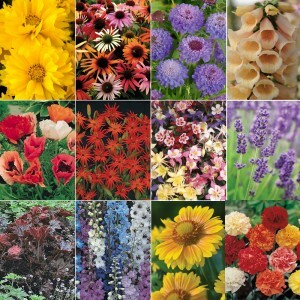 Exclusive Premium Perennial Collections only £13.99! We have 3 new exciting Premium Perennial Collections supplied as 6 jumbo ready plants and exclusively to our online customers. Jumbo Ready Plants are grown in individual cells and measure approximately 8-12cm in height from the root of the plant to the top of the stem. They are ready for immediate planting. Despatching within 10 days of receipt of order. 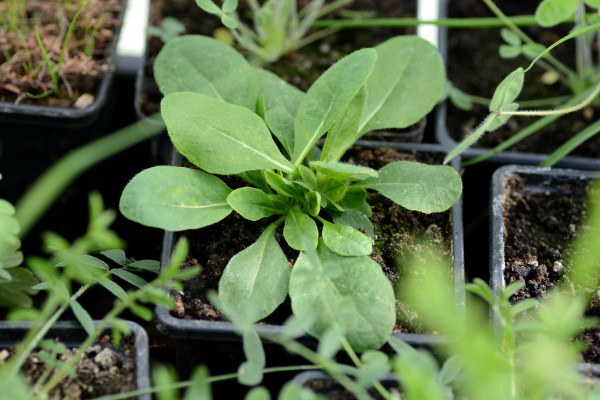 Arabis are low growing structural Alpine plants with beautiful dense green foliage. 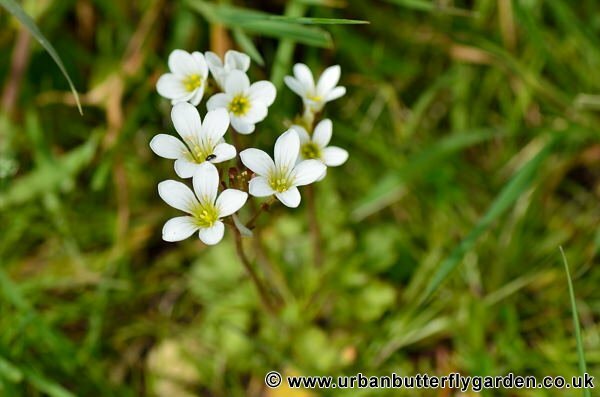 They produce fragrant white flowers and will attract butterflies to your garden. 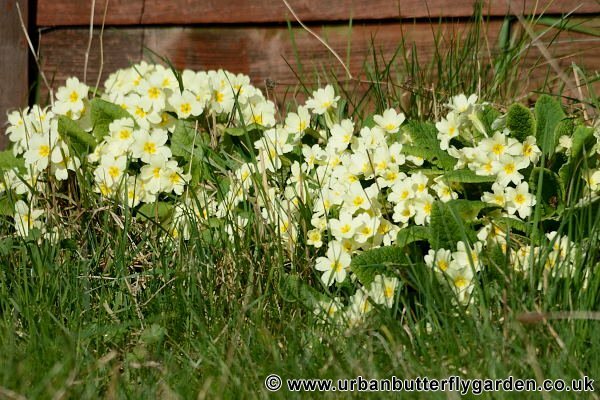 Ideal for Rock or Alpine Gardens or simply cascade over walls. 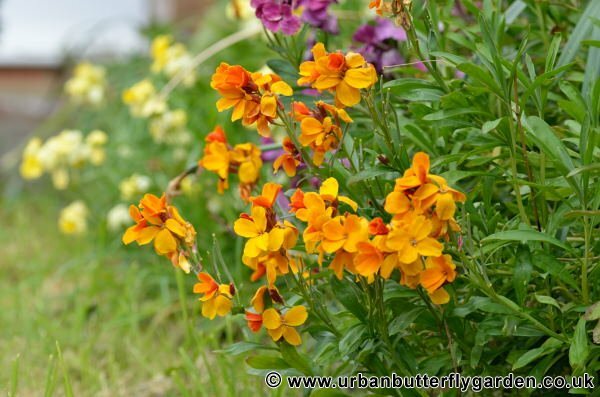 A stunning collection of perennial Wallflower that are upright with a mounded habit. 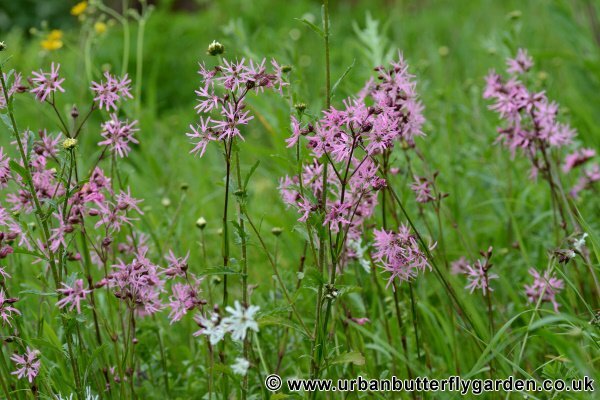 Each variety produces stunning flowers against their dense green foliage. 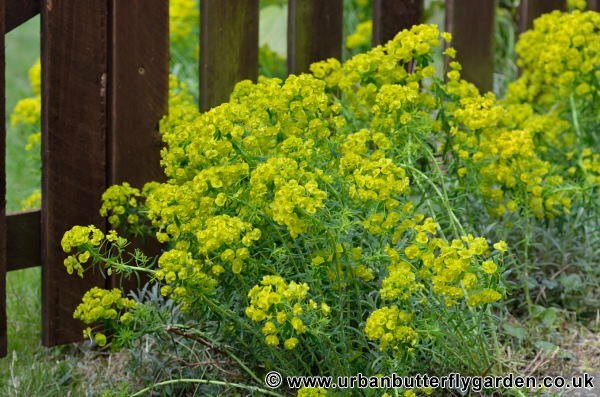 A drought tolerant plant that attract bees and butterflies to your garden. Also ideal for your patio containers or garden borders. 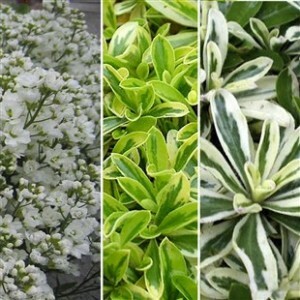 These easy to grow hardy Perennials feature stunning aromatic green foliage and dense flower spikes that have long flowering periods throughout the Spring. 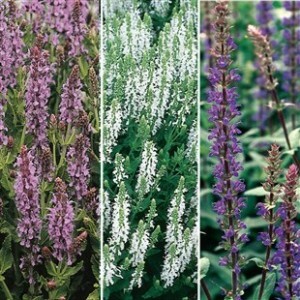 This Salvia Collection is ideal for attracting wildlife to your garden. 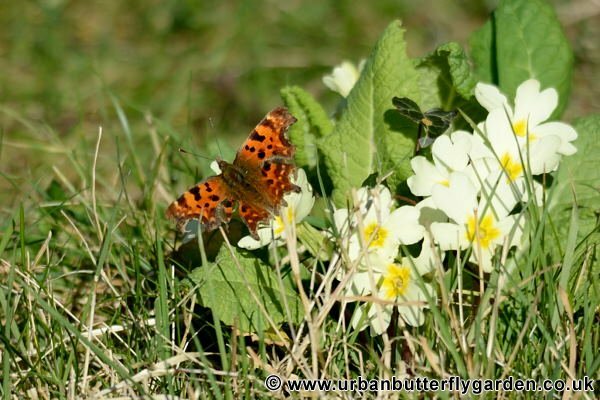 Posted by Adrian Nikon on September 21, 2011 Comments Off on Butterfly Garden Wildlife Perennial Collections only £13.99!